Dimensions: Nagasa: 30", Nakago: 8", Mihaba: 1 3/16", Sakihaba: 13/16", Kasane: 1/4", Sori: 3/4"
Mountings: The saya appears to be relatively new and has a flat black kanshitsu lacquer finish. The tsuka is also relatively new with nice same and strong ito wrap. 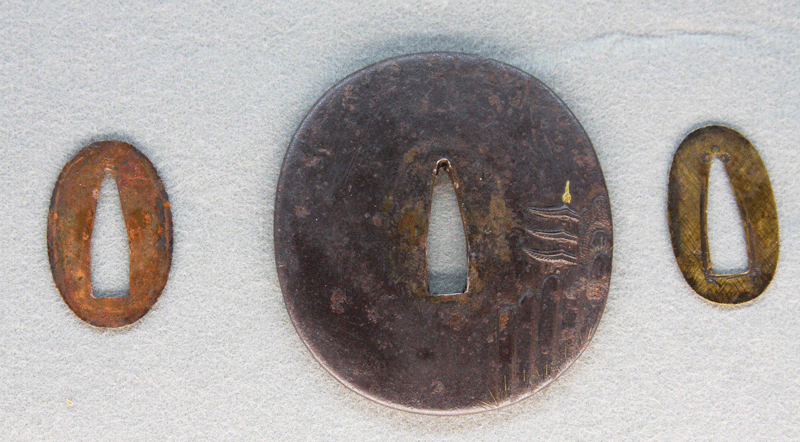 The fuchikashira are iron and the menuki are gold plated horses. 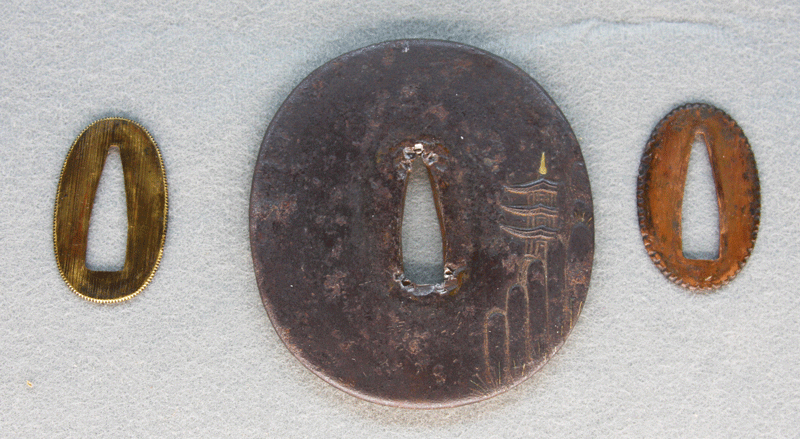 The tsuba is iron and the habaki is one piece copper. 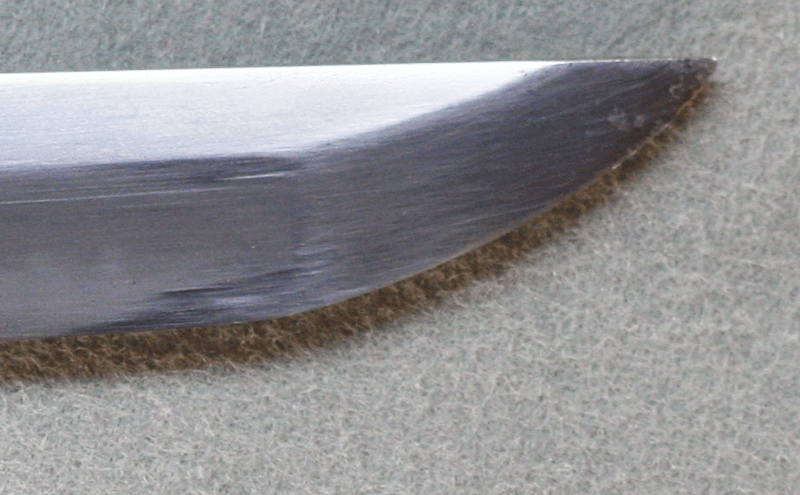 Overall Condition: The blade has a forging/grain opening on one side that may open into a blister in polishing. There is another much smaller forging/grain opening with a very small blister. A good polisher should be able to give better information. There are two other grain openings in the shinogi ji. There are also a few 1/64" or less dents in the edge that will easily disappear in polishing. This is a very old blade and these kizu are not uncommond. This sword deserves to be polished so that the excellent hada and beautiful hamon can be enjoyed.